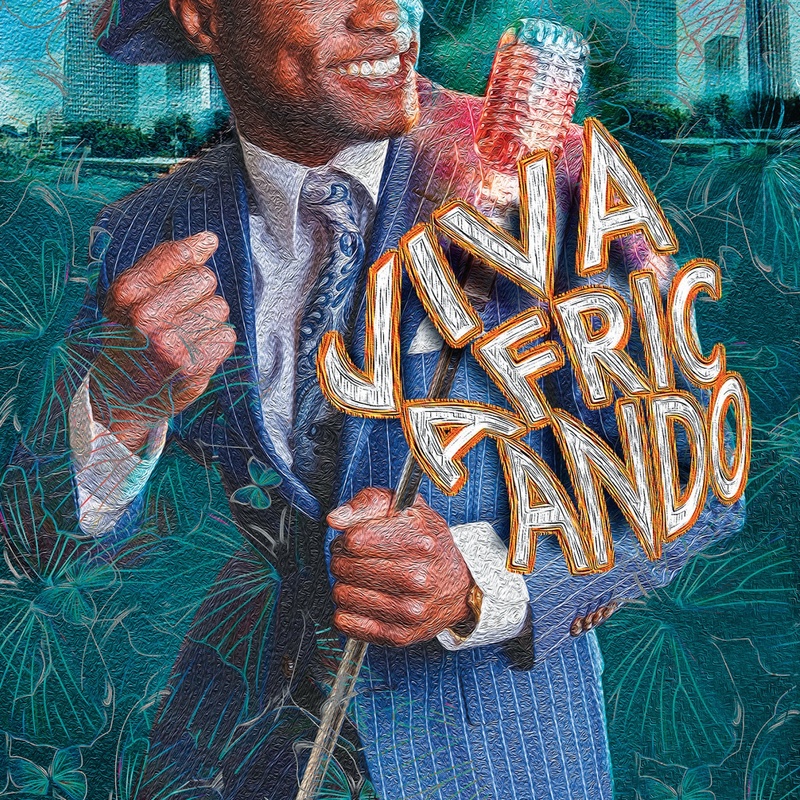 Africando’s 8th studio album, this is the first not recorded primarily in New York. This time the Africando masterminds, producer Ibrahima Sylla and arranger Boncana Maïga, bring New York’s top Latin musicians – led by pianist Oscar Hernandez – to Paris. There they reunite with the group’s vocal stars, Medoune Diallo, Sékouba Bambino, Amadou Ballaké and Shoubou, along with distinguished guest singers from diverse African and American countries, singing, all told, in 10 different languages. But whatever the language, with Africando it’s always classic big-band salsa – salsa dura – the hottest Afro-Latin style. That dedication to a golden sound is brought home in the album finale, a tribute to Africando by the great contemporary American champions of classic salsa, the Spanish Harlem Orchestra, featuring Ray de la Paz. Africando has always been a meeting of Africans and Latin Americans. It always will be. That was the idea in the beginning, and it has held up splendidly (and inspired other bands). Africando’s first seven albums were recorded mostly or entirely in New York, for this eighth studio set the New Yorkers travelled to Paris. That wasn’t the plan, but the war in Mali intervened, making it impossible for Africando’s Malian arranger and music director, Boncana Maiga, to renew his US visa in time to make the album in New York. Fortunately, he was able to go to France, carrying tracks begun in Bamako (Mali) and Dakar (Senegal). 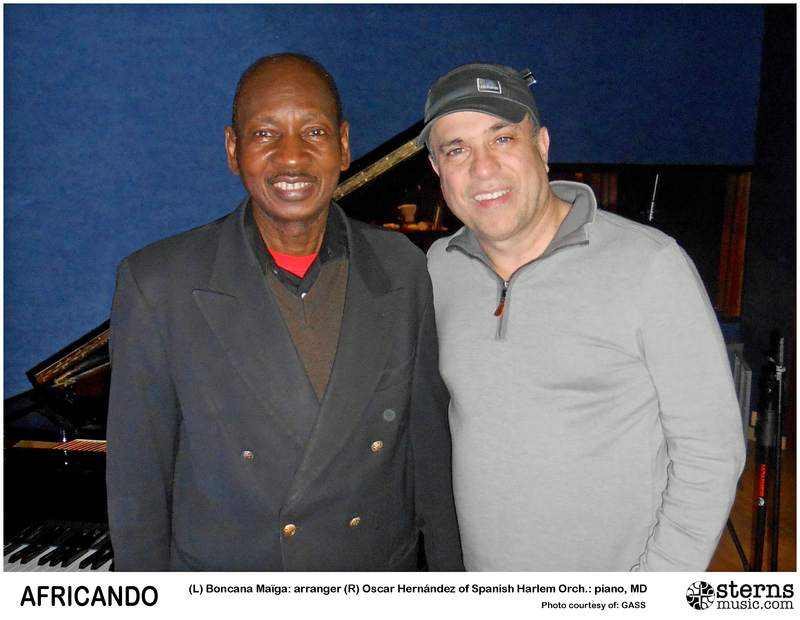 In Paris he reconnected with Ibrahima Sylla, Africando’s producer and instigator, and in November 2012 they were joined by six musicians from New York, led by pianist Oscar Hernandez, who has been an integral part of Africando since Gombo Salsa (1996). Many familiar voices grace Viva Africando. The veteran Senegalese singer Medoune Diallo is a charter member of the band, now in its 21st year. Sékouba Bambino, Guinea’s biggest star since his youth in Bembeya Jazz National, joined Africando in 1996 and remains a permanent member while continuing his very successful solo career. Roger Eugène, better known as Shoubou, a patriarch of the pre-eminent Haitian band, Tabou Combo, has been moonlighting with Africando for 17 years. A pioneer of modern music in Burkina Faso and also an Africando concert trouper, Amadou Ballaké is back for his fourth album with the band. Jos Spinto, who has performed with Africando over the past decade, dedicates one of his songs in the new album to the late Gnonnas Pedro (1942-2004), an early pop star in Spinto’s home country, Benin, who in the last eight years of his life won new fans worldwide in the Africando front line. Pascal Dieng of Super Cayor de Dakar returns to Africando for his second album, as does his fellow Senegalese singer, Bassirou Sarr of the group Dieuf-Dieul. 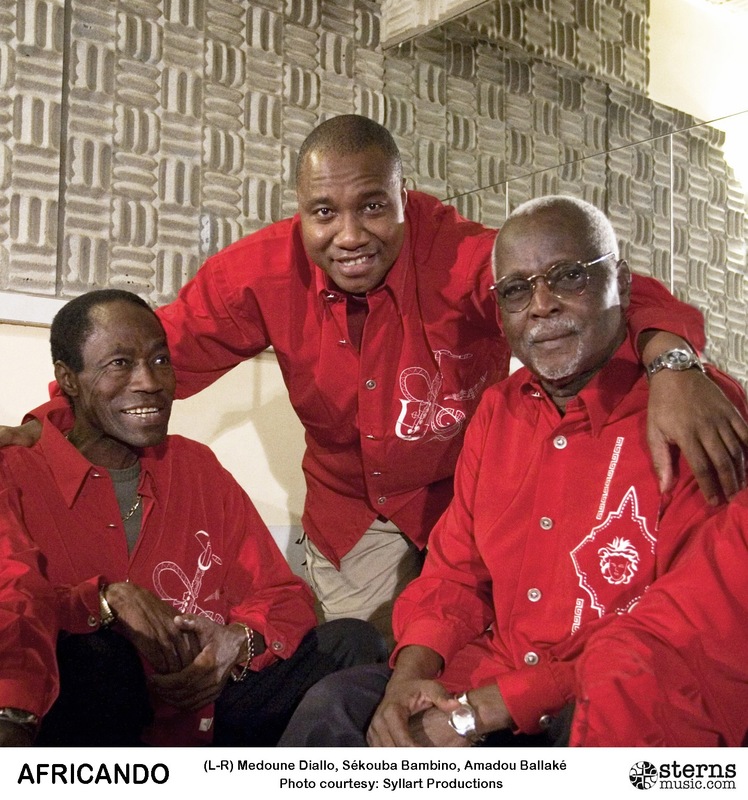 This album presents four distinguished singers making their first appearances with Africando. Rene Cabral has led Cape Verde Show for over three decades. Lokombe Nkalulu was in one of the hottest Congolese bands of the high ‘70s, les Grands Maquisards. James Gadiaga is a nobleman of Senegal’s Royal Band de Thiès. Raymond Fernandes, born in Dakar to Cape Verdean parents, recorded his song during the Africando sessions for Mandali, but when he died before the album’s release, his track was removed and saved for a better time – now. Africando has always welcomed guests to the stage and to the studio – great singers especially but also instrumental soloists. Viva Africando comes to a rousing finale with a piece by an entire guest orchestra: the Spanish Harlem Orchestra, under the direction of Oscar Hernandez and featuring lead singer Ray de la Paz. The strongest champions of classic salsa today, the Spanish Harlem Orchestra pays tribute in “Africa Es” to its great ally in the cause, Africando.